If you’re a fan of British productions like Black Adder, Mr. Bean, Love Actually, Notting Hill, Bridget Jones, and loads more, you’re totally missing out by not watching The Vicar of Dibley. The same writer (Richard Curtis) made them all. 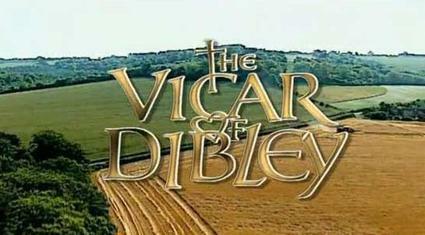 The Vicar of Dibley was a long-running show about a free-wheeling female vicar in a quiet English village. The Anglican priest (Geraldine Granger) is played by Dawn French–one of the founders of Absolutely Fabulous–and she is a riot. If you’re worried this show might be preachy (being about a priest and all), fear not. Just trust me on this. Anyway, one Christmas (season 1 episode 8) Geraldine accidentally agrees to go to way too many lunches on the same day, and the result is …well, you should see for yourself. Plan a progressive lunch or dinner where you go to friends’ homes in sequence. Compete to see who can eat the most Brussels sprouts. Or pudding. Or turkey. Really, just eat a ton. Buy Christmas poppers, and be sure to wear the crowns and tell the jokes inside.